Several weeks ago, we reported that Tron Legacy would have to gross $50 million in its opening weekend to recoup its $200 million budget. This weekend wasn't much help, as it's on track to gross $20.1 million. 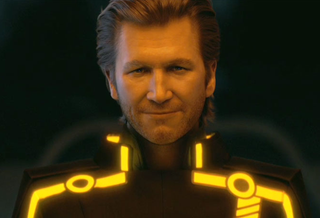 Is Tron Legacy set to be a box office disappointment? Tron Legacy placed behind the roundly loathed Meet The Fockers and the Coen brothers' latest Western outing, True Grit. The Jack Black vehicle Gulliver's Travels opened with $7.2 million at 7th. Overall, the holiday weekend was down 42% from 2009 — last year was bolstered by blockbusters like Avatar and Sherlock Holmes. The blizzard on the East Coast certainly didn't help this weekend's box office haul. Given that Tron Legacy isn't getting the numbers Disney's looking for, it's unclear what this means for the future of the Tron franchise. Disney certainly seems committed to make it work (what with the upcoming Tron Uprising TV series), but will a flaccid box office gross put the kibosh on a sequel (or Tron Legacy director Joe Kosinki's upcoming remake of Disney's The Black Hole)?